The medical field has always been one of my passions, especially diagnostics. Due to this I was happy to be given the chance to attend Medica 2018. In this blog I will give my thoughts and impressions on the event. 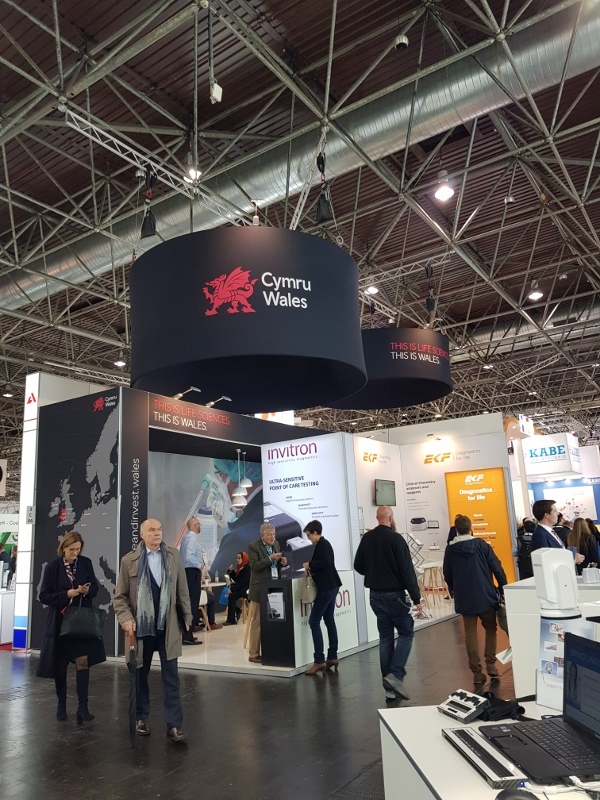 Medica, which is the leading international trade fair for the medical sector, took place in Düsseldorf, Germany from 12 – 15 November 2018. The event hosted companies from all over the world, including Wales, presenting the latest innovations in the diagnostic industry. The exhibition floor was very busy, with Medica recording around 120,000 visitors – higher than ever before. So, what did I learn from the event? The government of leading countries in the life science industry have “secretly” agreed to funding, which enables small to medium sized companies to present their unique methods and equipment for diagnostics along with the biggest names. and of course, molecular diagnostics assays. Being part of the enzyme world, I was pleased to see how molecular diagnostics played such a large part of the innovation panels and development pipelines presented. Although the industry requires a lot of time and investment to develop and validate novel methods, it was clear the future of molecular diagnostics is in customisation. Being involved in the development and validation process, I can say it’s not easy, but it is the future. Many companies have developed specialty ELISA tests, customised antibodies and molecular diagnostic tests to ensure they are able to identify the uniqueness of the patient. The growing number of tests required with high sensitivities was well addressed via impressive automation platforms capable of processing several tests per minute without a compromise in quality. Many companies advertised customised platform development aligned with the nature of the tests, including precise dosage with self-calibration and precise Peltier thermostats, all in a microliter range. Fatal disease posters such as prostate and breast cancer caught my eyes a number of times. Early diagnosis of these diseases is lifesaving, especially knowing there isn’t universal treatment when it comes to one of the leading cause of death in the 21st century. Finally, there were molecular methods on display that have been developed for food applications to understand the impact food has on health. This is becoming more important, especially in the Western World, with the growing issues regarding obesity, diabetes and Heart disease. As we know it all starts from the genes! 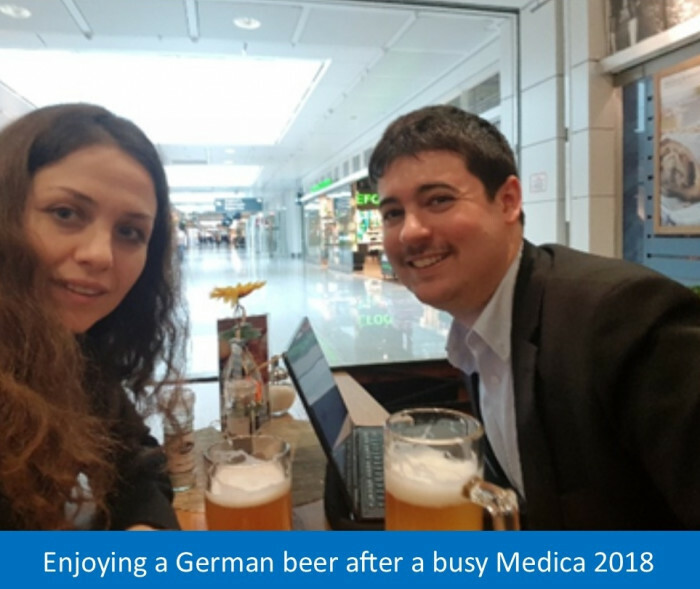 I enjoyed my time at Medica and look forward to attending again in 2019.